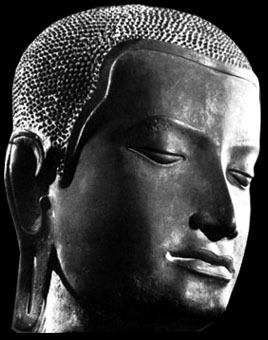 When Siddhartha was born, eight Brahmans are said to have made a prophecy that he would either become a Buddha, achieving supreme spiritual enlightenment or he would become a Chakravarti or the universal emperor, the legendary hero who would rule the whole world in all the four directions. By choosing to be a Buddha and removing the folly and ignorance of the world, Sidhartha, a ?kshatriya? of the royal blood created an alternative role model to the Chakravarti hero. There is in the Indian tradition another more defined but less travelled path of Dharma revealed by Buddha. Ashoka the great, started out as a Chakravarti king who conquered a huge territory and created a mighty empire, but the brutal bloodshed involved in the process troubled him deeply. He was drawn to Buddhism and its principles of nonviolence, non-harm, compassion, altruism and welfare of all beings, including animals. He then became transformed from a Chakravarti to an enlightened leader of all his people, regardless of caste, religion and social standing. Religious tolerance and social harmony were central to his approach. Amartya Sen has noted in his book; The Argumentative Indian that Ashoka was informed by reason and democratic consultation in his quest. Buddha?s emphasis on harmony and ecological balance is extended to the whole of the natural world. These sentiments are to be found in Buddha?s Nipata Sutra : ?May creatures all abound in wealth and peace; may all be blessed with peace always/ all creatures weak or strong, all creatures big or small, creatures seen or unseen/dwelling afar or near, born or awaiting birth, may all be blessed by peace? In his book; Beyond Optimism: A Buddhist Political Ecology, Ken Jones taking an anti ideological activist stance calls for outer work of ?eco-social liberation? and inner work of ?psycho-spiritual liberation?. E F Schumacher author of ?Small is Beautiful? which contains a section on Buddhist Economics, points out that it is no longer possible to believe that any political or social reform or scientific advance by itself can solve the profound problems afflicting our civilization. They lie deep in the heart and soul of each one of us. Wisdom and solutions has to be found by liberating ourselves from such masters as greed and envy. A Chakravarti?s greed and envy for power and riches are endless. In the Hindu epic Mahabharat it was the Kaurva?s greed and envy of the Pandava?s flourishing kingdom of Indraprastha that led them to match fix the game of dice to take over the Pandava?s kingdom. It led to the fratricidal and annihilating war. Such greed and envy is not unlike the unethical ambition of many rulers and governments today who act in the name of real politic and advancing narrow ?national interests?. Buddha?s key maxim was to focus on overcoming greed, envy, hatred and ignorance by developing compassion, loving kindness and wisdom. The antidote to envy was sympathetic joy in the success of others. For Greed the antidote was moderation of the middle path. The Chakravarti king was driven by dogmatic religious slogans, not spiritual compassion, to rationalize and legitimize his quest for an ever expanding empire. 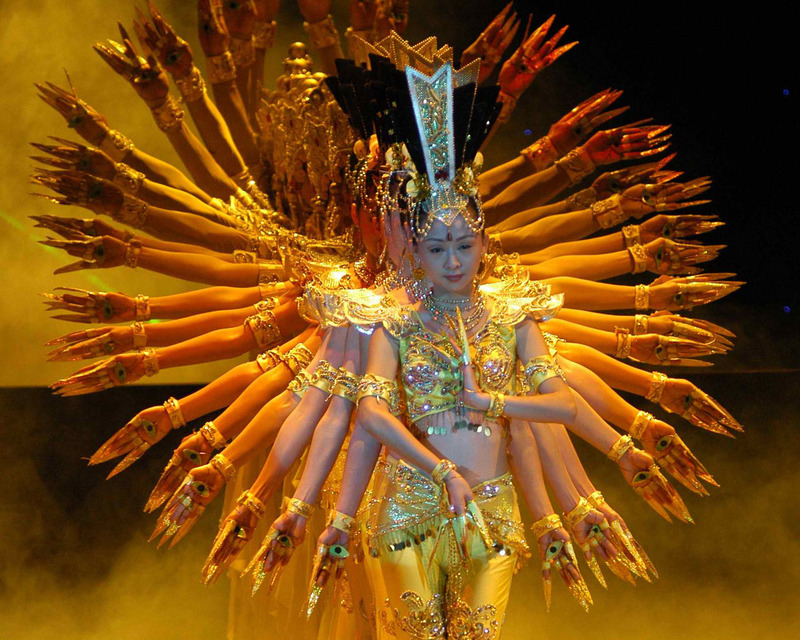 Buddha did not propose a metaphysical system or dogma. His message was ethical and spiritual as the Dalai Lama puts it today ; ?Spirituality I take to be concerned with those qualities of the spirit like love, compassion, forgiveness, patience, tolerance, contentment, a sense of responsibility, a sense of harmony which brings happiness to oneself and others. While ritual, prayer and questions of salvation and nirvana are directly concerned with religious faith?. This spirituality for a secular world is characteristic of Buddha?s teachings. That is why India?s first Prime Minister Nehru trying to reconcile India?s multi-cultural and multi-religious traditions chose Buddhist symbols depicted on the Stupas like the four lions to be found on the Indian passport and the wheel of Kala and Dharma on the Indian flag. When today you observe the most secular Nehru?s well preserved sparse bedroom in Teen Murti house in Delhi, you at once notice that only a serene bust of Buddha is placed on the table, not far from his bed. Mahatma Gandhi did not have a deep engagement with Buddhist ideas like Ambedkar did and he did not keep a Buddhist holy book along with Gita, Bible and Quran, probably because he considered it an extension of Hinduism. In a letter to Romaine Roland Gandhi suggested that Buddhism was a kind of reformed Hinduism. Actually the ubiquitous three monkeys in his room were derived from the Japanese Zen Buddhist tradition. If Gandhi had read Shanti Deva?s treatise on ?The Way of the Bodhisatva? he would have found great resonance. Bodhisatva in Mahayan Buddhism is an enlightened person who postpones his personal liberation until the suffering of all is alleviated. That is why the Dalai Lama calls Gandhi a great Bodhisatva. Like Sidhartha, Mohan Das Gandhi chose the path of the Buddha and the Mahatma or the great soul, and not the way of the Chakravarti. The legacy of moral and soft power of compassion, wisdom and ahimsa shines brighter and longer than the armed glory and affluence of a mighty King. It is no coincidence that Gandhi?s most authentic disciples today are all Buddhists. They include the Dalai Lama, Aug San Suu Kyi of Burma, Sulak Shivraksha, the thinker activist from Siam as he calls Thailand with his radical spiritual socialism and Dr Aryaratne, of Sri Lanka, who through his Sarvodaya Movement organized joint peace meditations where Buddhists, Muslims and Tamil Hindus meditated together for social harmony and peace. The political leaders and Kings of today can draw lessons from the alternative role model provided by Buddha. Instead of trying to become Chakravarti Kings ruling over their Praja or subjects with ambition, power, greed and coercive influence, they can try to be noble leaders of the Sangha and follow the path of true Raj Dharma or the Dharma of good governance, by working for democratic consultations, peace, reconciliation, prosperity and equitable welfare of all, including all sentient beings and their habitat in nature.